SCADA systems are the most prevalent control systems in the water/wastewater sector. These systems integrate distributed electronic devices and networks to help monitor and control purification and distribution of clean water infrastructure. These same control systems communicate with a multitude of dispersed devices and various information systems that can expose these systems to malicious cyber attacks. 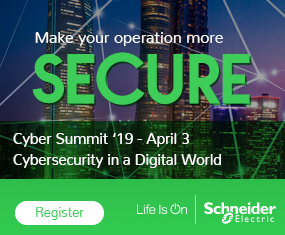 With the recent notice of vulnerabilities in SCADA systems, it has become abundantly clear a successful cyber attack could compromise control systems and disrupt the availability of clean water or result in sanitary sewer overflows (SSO). For the Security Incidents Organization’s RISI Water/Wastewater Sector Analysis Report cyber security incidents were broken down in detail to identify trends that may lead to improvements that will help to protect a system from attack. The RISI database contains 25 confirmed water sector incidents occurring between 1998 and 2010, with the number of incidents increasing substantially in the last few years. While not very many companies will report an incident, this analysis will give a strong indication of events that are happening in the industry. There is strong evidence the incidents reported are proportional to the total spectrum of cases. What this report found was more than half of incidents in the water sector (13 of 25) were the result of unintentional control/SCADA system failure. Take the Torrens Lake incident. Faulty software caused the gates of the Torrens Weir to open without warning. The gates remained open for about two hours draining millions of gallons of water from the lake in South Australia. An investigation revealed alarms that would alert remote operators of a malfunction ended up muted for some reason. Torrens Lake officials purchased the faulty software from Ottoway System Integration, an Adelaide, Australia-based firm which went out of business only days after the incident. There was no evidence of foul play. The end result was the Torrens Lake ended up drained. Water levels dropped by more than two meters, or six feet. The incident caused a problem for businesses that relied on the lake. The recommended mitigation from the report was for companies to review the functional safety of system design. That is just one example of reports emanating from the RISI database. Through ISSSource.com you can get a discounted copy of the various RISI reports or a discounted membership to the Security Incidents organization.